Prometric, the world's leading provider of technology-enabled testing and assessment services, announced that it has been awarded an exclusive, US$40 million dollar contract by the Indian Institutes of Management (IIM) to computerize the prestigious Common Admissions Test (CAT). To efficiently deliver the first ever computerized version of the exam to over 250,000 Indian students this fall, Prometric will accelerate plans to further build out its people, services and technology infrastructure in <?xml:namespace prefix = st1 ns = "urn:schemas-microsoft-com:office:smarttags" />India. In assuming responsibility for all aspects of the CAT program, including item authoring, test development, test administration and scoring and reporting services, Prometric will add resources, including dedicated test development and support staff, in India. Complementing the 185 employees, test center network and other assets Prometric already operates in India, these additional new resources will provide a more powerful and rigorous means for the CAT, and any other test publishers looking at expansion in India, to leverage for growth. 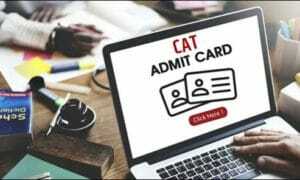 The CAT is the premiere admissions test used in the selection process for admission to the Indian Institutes of Management, a network of India's most prestigious business schools based in Ahmedabad, Bangalore, Calcutta, Indore, Kozhikode, Lucknow and Shillong. Of the 250,000 students that take the exam each year, ultimately just over 1,500 are admitted to one of the IIMs. It is therefore one of the most competitive and high profile admission exam administrations in the world, requiring tight execution and secure exam delivery. 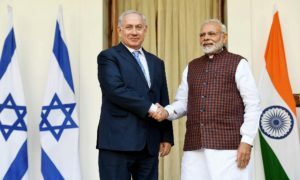 For the first time in history, instead of testing only one day a year, candidates will be able to test during a 10-day testing window across 23 Indian cities where secure computer-based testing centers specially prepared for the CAT exam are strategically positioned throughout the country. The longer window and wider availability will provide candidates greater flexibility when choosing a testing date, time or location as well as near-ubiquitous access to testing locations. In addition, computerization of the CAT will result in faster score processing, enabling the IIMs and more than a hundred other Indian business schools that rely on the results to more quickly make their admissions decisions.